Home / Alice in Wonderland as only Sandra Vargas could do it! I love Sandra Vargas’ style of painting. Her characters are sweet and funky and fresh. There’s something fun and unexpected with each one. Here’s the Tea Party complete with Alice, Lady Hatter and the Queen. 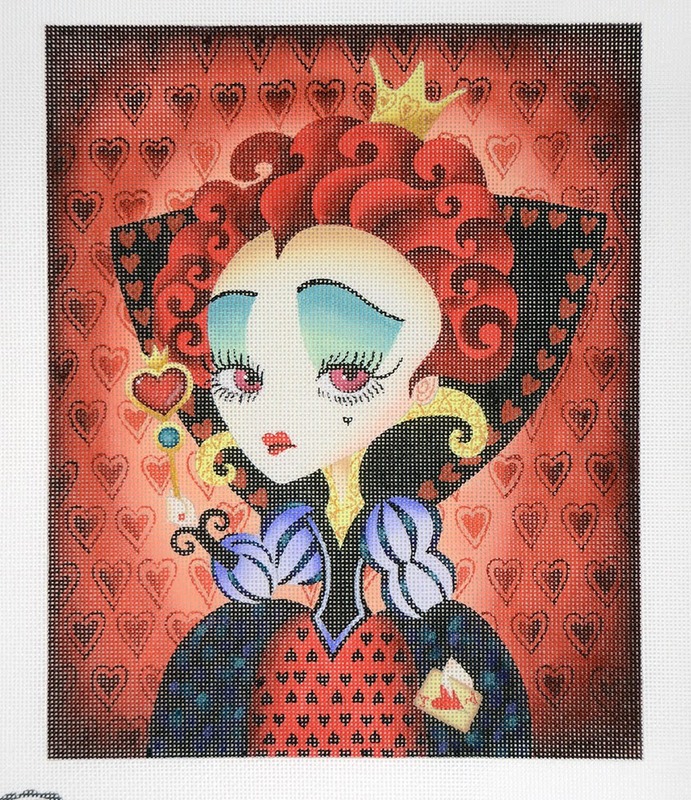 Love the full size Queen of Hearts! 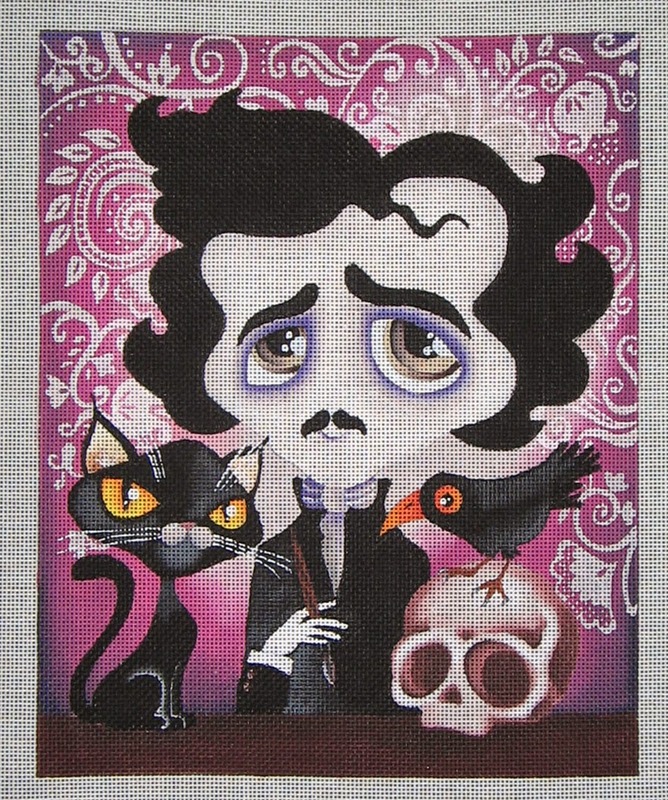 and of course because we are Baltimorean’s we needed to add Poe to the line. There’s more on the website. Just click here. The shop is closed for the next few days but you can always order online. The Alice canvas is amazing!!! Just wondering if these come with the stitching guides? I am blown away by these!!! Do you think we could also get her Edward Scissorhands too?!? !